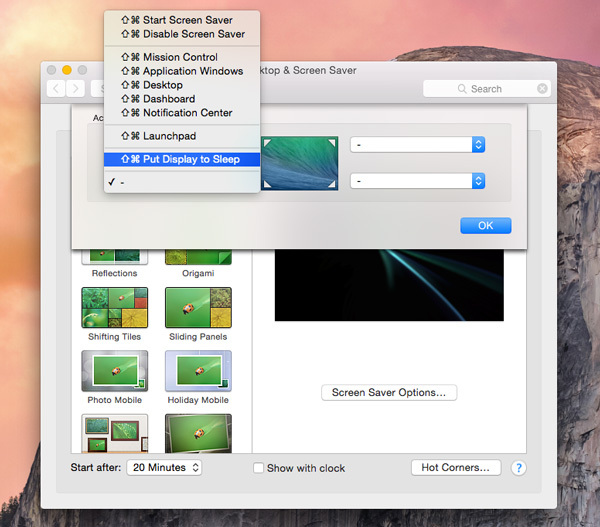 There may be many moments when you want to simply turn off your Mac’s display without shutting down the entire system. For example, you may be downloading a bunch of files, or may just want a break from work, and you may want to blank out the display, without actually disturbing your workflow. The easiest way to put your Mac to sleep is by using the Power button. You should know that this power keyboard button is only available on newer Macs with built-in keyboards, and not on Apple’s wireless keyboards. 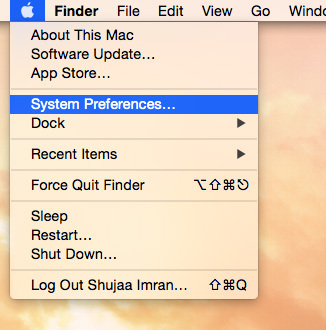 To use this feature, simply press the power button, which should put your Mac to sleep. On some systems though, you may need to hold down the power button for a moment (two to three seconds) and release it. 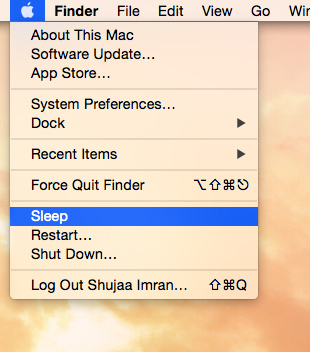 Your Mac should automatically go to sleep. Note: If you’re using an external third-party keyboard, you may need to use the specific key mapped to the Power/Eject button. Also, you may need to hold down the “Fn” key with the keyboard shortcuts above to put your Mac to sleep, as some keyboard’s F-keys are set to be standard function keys instead of Apple’s special features. 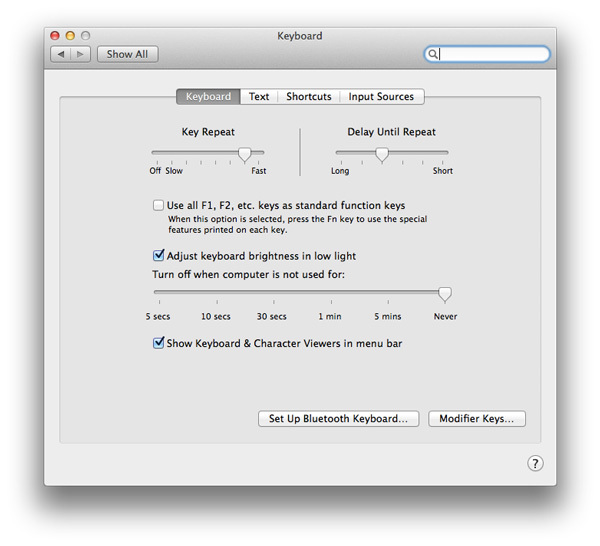 These keyboard settings can be accessed in the “Keyboard” pane of System Preferences. 1. 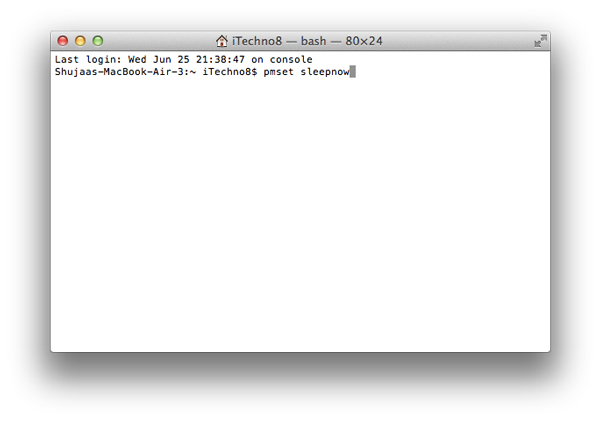 Open Terminal on your Mac. 2. Enter in the following command, and press Enter. Your Mac should immediately go to sleep. This command uses pmset, which is a full-featured power management utility, available in OS X. The last method we have for putting your Mac to sleep is to use Hot Corners. 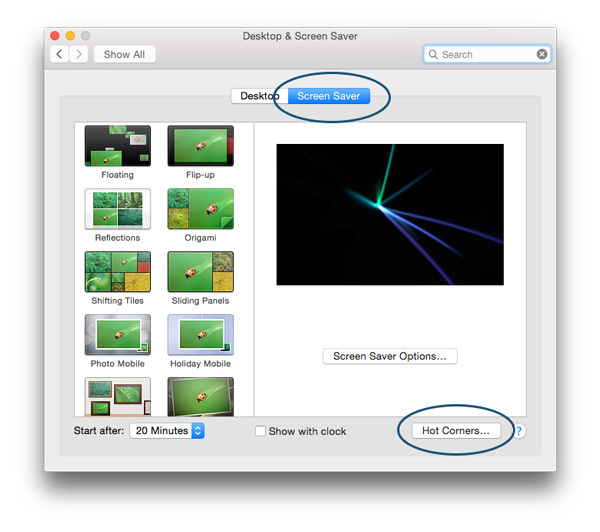 What Hot Corners actually does is it assigns a function to a specific part of your screen. Whenever you take your Mac’s pointer into that corner and leave it there for two to three seconds, it will automatically perform the desired function. In this case, we’ll be setting a sleep function using OS X’s Hot Corners. 1. 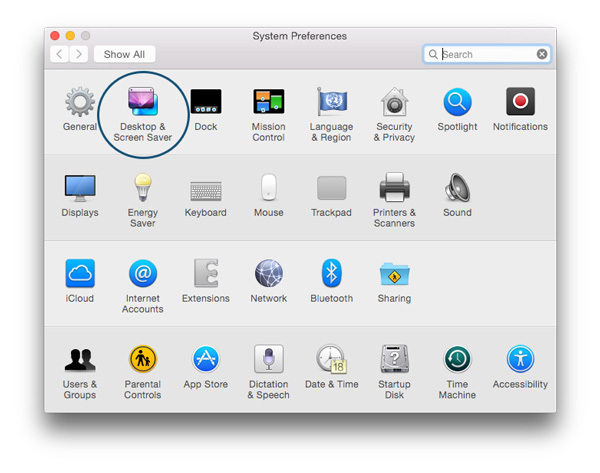 Open System Preferences on your Mac, either by using the Apple menu, by navigating to “Applications -> System Preferences”, or by using any other method you like. 2. Open up the “Desktop & Screen Saver” menu. 5. Select the “Put Display to Sleep” option. With the above mentioned methods, you should be able to easily put your Mac’s display to sleep while keeping the computer active in the background. You should also keep in mind, you’ll have to enter your account’s password if you have one set. 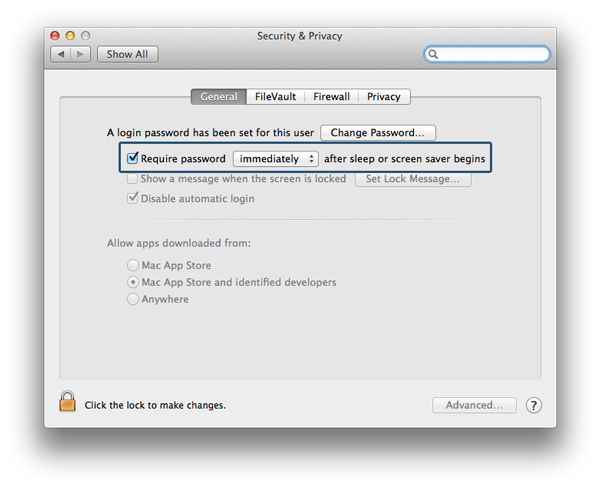 You can disable this authentication requirement on system wake by navigating to System Preferences -> Security & Privacy, and un-selecting the option to “Require a password after sleep or screen saver begins.” You can easily wake up your Mac by simply pressing your keyboard or mouse/trackpad. Do you have any other methods to put your Mac easily to sleep? If yes, be sure to tell us about them in the comments below. Control + Shift + Eject or Control + Shift + Power also works if you are a fan of keyboard shortcuts. Already mentioned in the article. Do Health Apps Inspire You to Keep Fit?